What an amazing finish to four days of stellar golf. The leaderboard was a virtual whose who throughout the weekend and it was anyone’s game until the very end. I notice a few things that were different than in previous Majors that I thought were noteworthy; some might be a ‘ah-ha’ moment for you because they were for me. Slow Play. 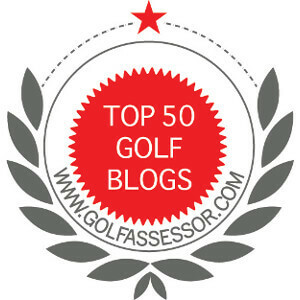 We talk about slow play quite often on my blog and other articles. I have to say that I found the pace of play fairly good over the weekend. I notice on many occasions all the players lining up their putts at the same time. Specifically, Zach Johnson was very efficient at doing this and provided an excellent example for amateurs. Additionally, on several occasions the pros played ready golf and hit instead of waiting for another player to get a ruling or figure out what they were going to do from a difficult location. Course Conditions. Augusta National played very easy compared to years past. It was very soft and many of the players were pin hunting more than normal. I was amazed at how well the field played and their low scores (especially on Moving Day) were as a collective field. The best golfers in the world are fantastic players, but I never really understood how course conditions were a factor in their final scores. Course Management. I am an ardent believer in course management. And the 2019 Masters proved that my focus is not misplaced. The wrong club selection was the difference between putting for a birdie or bogey. Ensuring that they were in play off the tee was the most critical shot on every hole. I realize as amateurs we do not have the length of the pros, but it does not eliminate the need to play the hole in our minds and choose the right club off the tee that fits our abilities. Short Game. If I take nothing else from this year’s Masters, I need to practice my short game. The number of finesse shots made around the green was amazing. Their ability to visualize were the ball needs to land is something I am going to pay more attention too this year. The pros understand how their ball releases and where it should end up; for the most part many fantastic pars were made because of their ability to chip the ball in challenging situations. Never Give Up. After the second round, I had counted out many players. I fell into the trap of not paying attention to entire field. I left out factors of course condition and quality of field to only see the top 5 players. You know what I mean…..this is the way it has always been at The Masters. The number of players that made a charge was amazing; they just kept hammering away at Augusta National and climbed the leaderboard. Never giving up on any round is definitely a great lesson to all amateurs. I am sure that you have your own ‘ah-ha’ moments from the weekends play. I try to glean something new from any Major and this year was no different. Watching the best in the world does help my game and I am looking forward to putting these new tips to the test. Did you learning anything for the play at this year’s Masters? we have introduced ready golf at our course, but what does annoy me is being asked to putt out of turn, when I am not really ready. Have not made up my mind if this action is used to try and gain an advantage. I would like to see someone else putt first, especially if they are on a similar line, to get some idea of how the putt rolls. I do not believe that any player should be forced into ready golf on the green. Longest away goes first. If for some reason that person is not ready, then they should adjust their speed to get ready. Ready golf is intended, in my opinion, for play off the green. I can see a whole gamesmanship issue happening if they are forcing ready golf on the green. Having said that, there are times when I have been asked to play first because the other players are raking a sand trap or something, but I am never obligated to do so. Play on the the green is always furthest away because of the advantages gained by watching others putt. Just my view about ready golf. I do applaud your course for adopting the ready golf guideline. It will speed up play when everyone understands the entire concept. Jim, agree on the pace of play. I think the folks running The Masters are more organized in general than the USGA (contrast to pace of play in the US Open) and they benefit from a much smaller field size. They handled the weather threat perfectly. I also expected to see more guys putting with the flagstick in but didn’t. Adam Scott still was but I suppose the slower green speeds may have contributed. If Augusta’s greens were running as fast as they usually do, I figured a lot of the guys would be in need of a potential backstop. Great kick off to the official season and now we have the PGA next month. Isn’t that awesome! Great ovservation about the speed of the green. We ahall aee qhat happens at the next Major. I am looking forward to the PGA for sure.